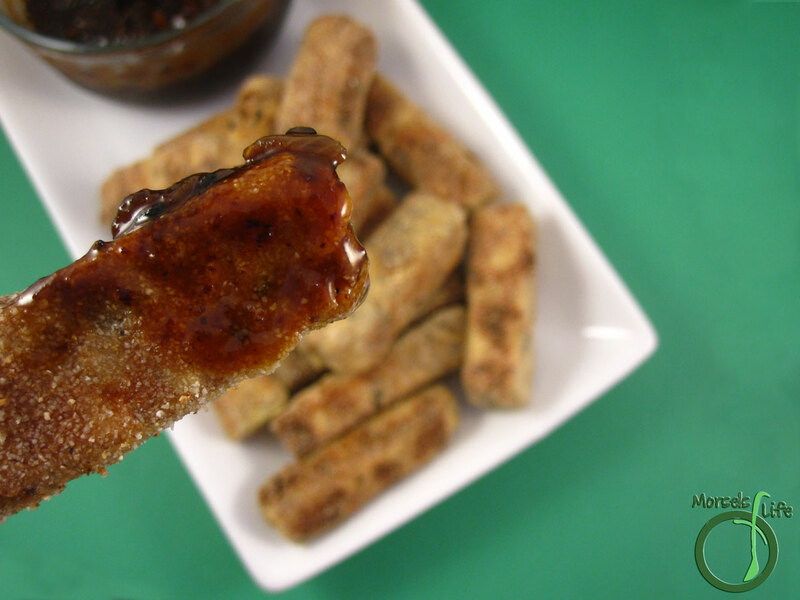 Tofu sticks, marinated in a scrumptious Hoisin BBQ sauce and then breaded with corn meal and pan fried (or baked) to perfection. 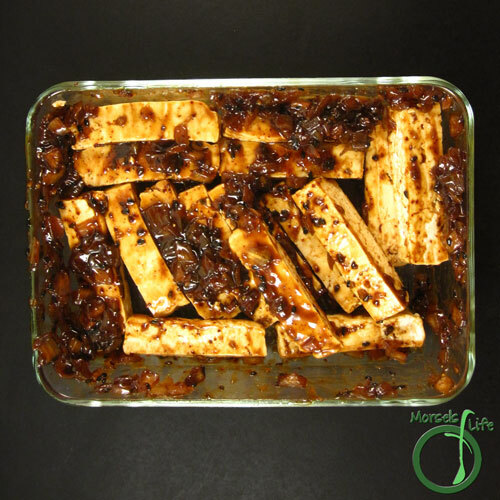 I've made this BBQ tofu at least 5 times this week already - they're that good! And, as an added bonus, it's a super easy recipe. 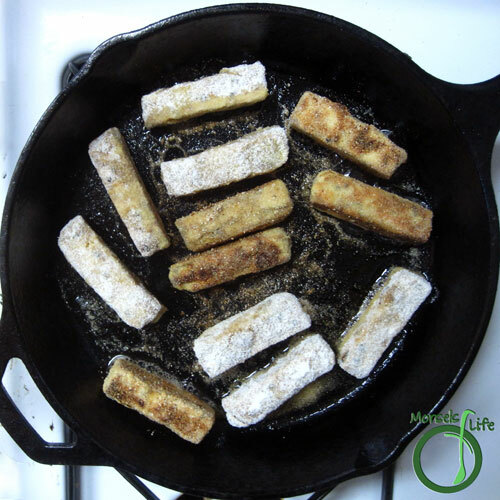 Just cut up some tofu, flour it, and then fry. Totally delicious eaten immediately, and pretty good even when reheated. This recipe is definitely something that you could make a large batch of and then reheat later on (assuming there's any left)! 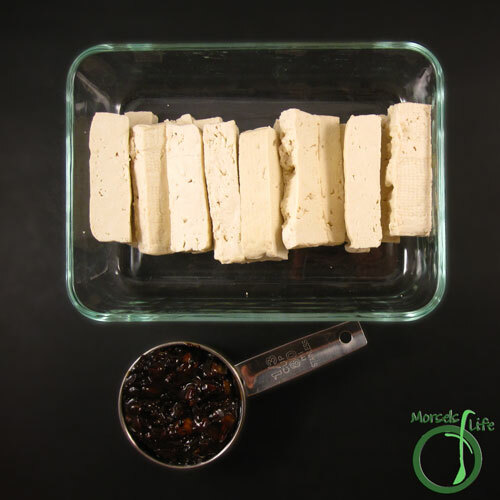 I've tried this BBQ tofu various different ways, and although my preferred method takes a little more time with an overnight marinating step, you could easily skip the overnight marinade step and still have some tasty BBQ tofu sticks. 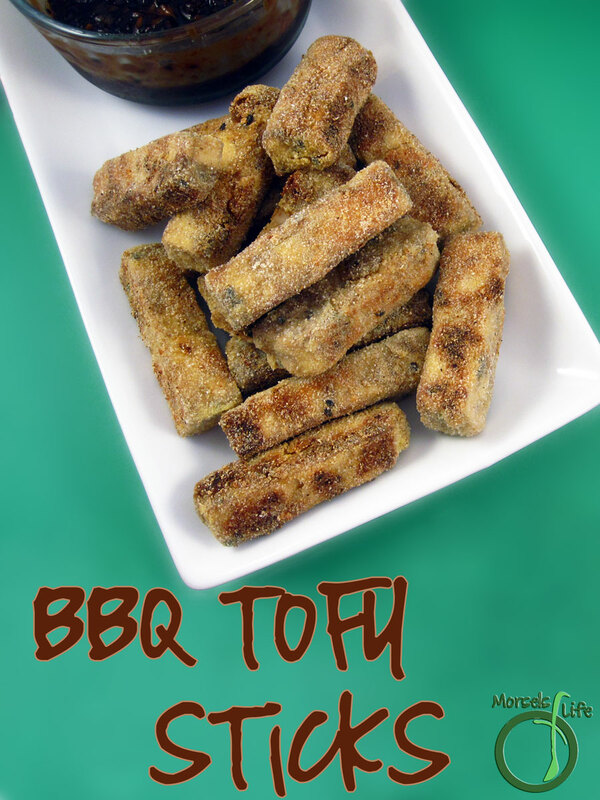 I also tried various "flours" to coat the BBQ tofu sticks, and I have to say, I like corn meal the best since it provides some additional texture and crunch. I've also used regular flour and bread crumbs. 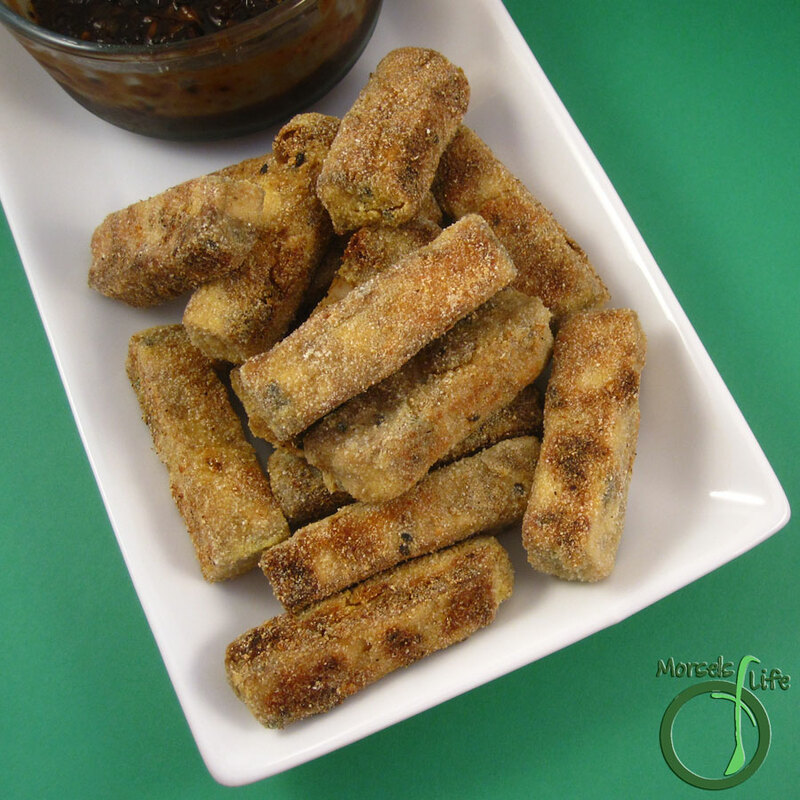 These tofu sticks would be perfect as an appetizer or snack. Give them a try, and let me know what you think! What's your favorite breading material? 3. Gather materials forgotten in Step 1. 4. 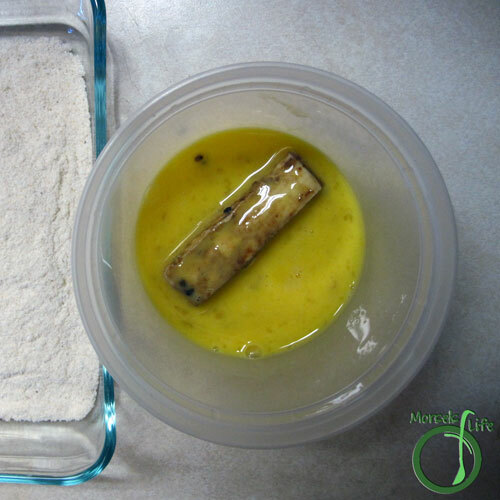 Beat egg, and dip each tofu stick in egg. 5. 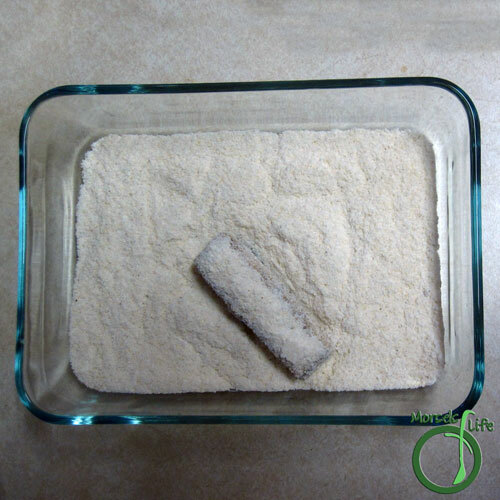 Cover each tofu stick in cornmeal, shaking off any excess. 6. Pan fry (or bake at 350F) until each side crispy. Ooh, I think this may be dinner tonight. I've made similar before but it's been a while. Thanks for sharing at the Blogger's Pit Stop. This sounds tasty. I am also passing it along to my daughter in law! That's Hoisin BBQ sauce is definitely one of our favorites around here. Never failed me yet. :) Hope you enjoy it as much as we do! Now these are incredible! I can only imagine how good they are!! Thanks for sharing with us at Throwback Thursday! My sister is a vegetarian - I'll be trying this for her next time she comes for a BBQ! Looks really good. 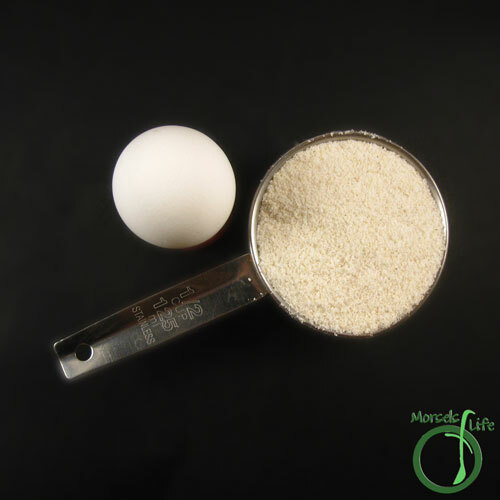 Thanks for sharing on the What's for Dinner Link up.